Our offshore development service reduces the operating expenses by allowing you to leverage our talented resources in all leading technology fields; with our exceptional services, experience the rise in productivity and focus on your core business competency for wide business reach. We meet our client expectations with custom software development, software testing, product design and development, and custom services. AES Technical or functional support services includes a wide range of technical activities that improves the process of an organization and offer successful software implementation. We reduce your operational cost by maintaining your software at the secured environment and provide efficacious customization, troubleshooting, product testing and technical outsourcing services. Internal resources, systems, processes, and technologies will be insufficient to meet the product deadlines and result in unexpected business expenses. AES managed services are aimed to cut costs by meeting your product or service deadlines and inexpensively maintain your existing products. We have a well-trained, experienced in-house developers team in all leading technology areas; with access to our wide resources, we make your business objectives possible by implementing the latest tools and technologies. Never delay your project delivery with our best offshore development service and technical or functional support. Our managed service offerings AES is a global offshore development company offering quality software development and functional support to all levels of businesses. We follow the agile methodology and W3C standard code to build an efficient product with no wear or tear. Managed services are offered by implementing proven technologies that deliver highly efficient products with constant upgrades at reduced cost. With our managed services, businesses can avoid investing in specialized data centers and software. Managed services come with a fixed payment plan which is easily predictable and never results in unexpected charges. 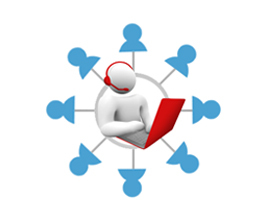 Managed IT services offers 24/7 technical support with centralized server and applications. It enables the businesses to leverage the talented resources to meet their specific business requirements and obtain customized services. With well-framed networks and data center, the software applications are protected under a safe environment which thrives disaster and data loss. 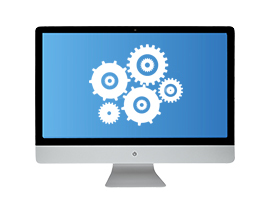 With our service, You can be sure about your applications even if you do not have a backup. Customer service through e-mail, phone, Skype and Instant messaging services.